To say The Club at Ibis is a residential golf community is a gross understatement; it's a community that relishes in a lifestyle that has it all. Behind the secure gates of this West Palm Beach community are 33 neighborhoods with over 1850 homes. Ibis is a mandatory membership community which boasts some of the finest conditioned golf courses, and recreational facilities in South Florida. Members must purchase at minimum a social Membership level, but when a golf Membership grants you access to three championship Nicklaus family-designed courses by Jack himself as well as sons Jack Jr. and Steve, why would you consider anything less? Over the years, The Club at Ibis has received numerous awards, including most recently BoardRoom Magazine's Distinguished Emerald Club award and the Platinum Club of America award, as determined by Club Leaders Forum, the preeminent consulting source in the private club industry. The latter recognizes the top five percent of private clubs in the nation, as elected by club managers, presidents, and owners. The Club at Ibis has also been recognized as one of America's Healthiest Clubs by Prevo Health Solutions, and in 2017 Ibis received the highest numeric score the company has ever awarded. One of the keys to winning this prestigious award is The Club's BodyMind Connection programming. BodyMind Connection (BMC) is an integrated program aimed at enhancing and promoting the health and lifestyle of Ibis Members. The centerpiece of the community are the three Nicklaus golf courses, which all play out of the same Clubhouse and seem to draw people together. 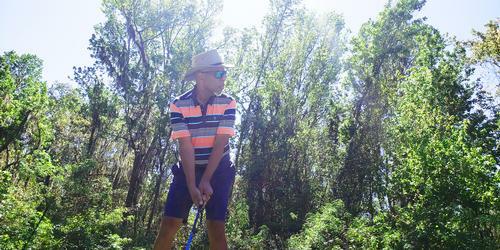 As a Member, there is no need to get in your car and drive off property to play golf. Just hop in your own private golf cart, drive to the Clubhouse and play. It's that simple...and convenient. The Legend Course was designed by the Golden Bear himself, while the Heritage Course was designed by Jack Nicklaus II and the Tradition Course was designed by son Steve. The Legend Course opened for play in 1991 and underwent a major renovation in 2017; it has been described by Jack himself as a "masterpiece." 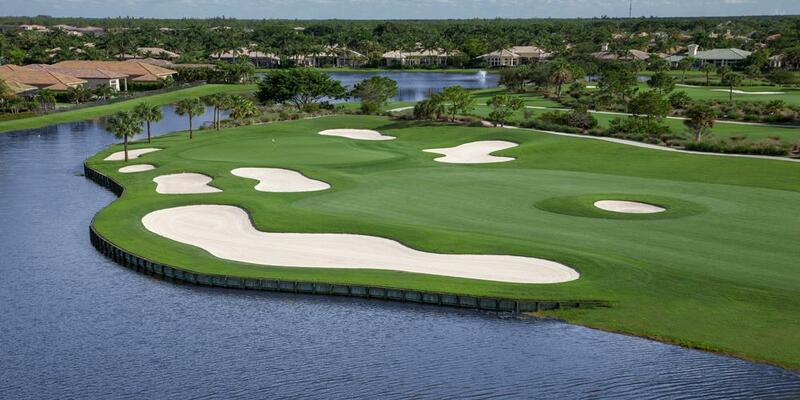 Golfweek Magazine has named the Legend Course one of the country's "Most Distinctive Courses." 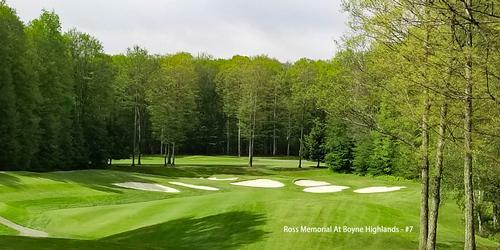 The signature hole is the par 3 13th; an elevated island green with a beautiful stone bulkhead. Number 13 plays anywhere from 81 - 167 yards and will definitely test your distance control and accuracy. 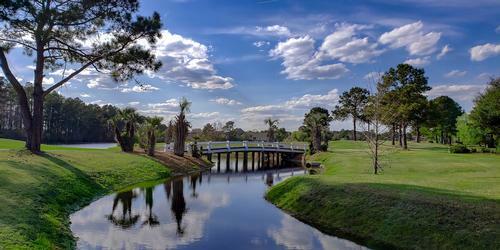 The course winds its way through the community and provides many scenic views of what a golf community is meant to be. As Nicklaus courses go it's relatively tame, no crazy roller coaster rides on greens or extra long forced carries over water like some of his resort courses I've played. What you get is a course that is somewhat player friendly and at the same time offers a stern test of golf. "When Jack Nicklaus II designed the Heritage Course, he was probably thinking "fun and friendly," and built the course to give you a fair test of your golf skills, no matter what caliber of player you are. When it opened in the fall of 1991, Golf Digest named the Heritage Course one of the "Top 20 New Private Courses in America." It's also a favorite among the ladies and has been named the "Most Women-Friendly Course in America" by Golf for Women Magazine. It's also the course where a number of Club tournaments are played. The most challenging hole on the Heritage Course is Number 5, a par 4 that plays as long as 428 yards and requires you to think your way from tee to green. Five sets of tees make the Heritage Course playable for any level of golfer. The Tradition Course was designed by son Steve and was completed in 2001. In designing the Tradition Course the team took ideas and concepts from many of golf's original layouts; consequently you'll find smaller greens and wide open fairways. The Tradition Course has a lot of Florida vegetation and, in true UK fashion, the outward nine doesn't play back to the clubhouse! To score well, you'll have to execute your tee shots and approaches into some very undulated greens. 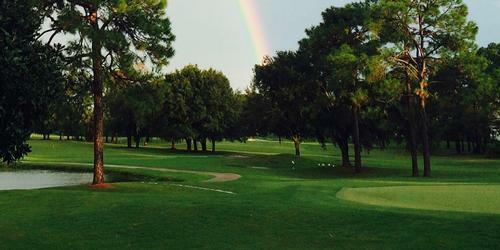 Number 18 is a Member favorite and is a tough dogleg right par 4 that plays over and around a lake. If you're new to the game or are looking to improve, the professional staff at the Ibis Golf Academy can help put your game on the right path. They are led by Director of Golf Instruction Martin Hall, who has been named one of only four "Master Instructors" in America by Golf Magazine. Hall is also the host of his very own weekly show on the Golf Channel, aptly named "School of Golf." Hall and his staff are dedicated to helping Members realize their potential and get the most out of their game. In addition to fantastic golf, The Club at Ibis also has a world-class tennis operation. Their 16 Har-Tru tennis courts are designed with a sub-surface irrigation system and are fast-drying; they were specifically designed for senior players with comfort and playability in mind. The friendly tennis staff at Ibis is led by Director of Sports Chuck Gill, former President of the USPTA, and offers weekly drill clinics, helpful tips, and practice sessions to help fine tune your game. Top instruction is headed by Director of Tennis Instruction Jay Berger, the USA's former men's Olympic coach and once a Davis Cup player himself. If you love to play, the staff can find a game that fits your personal skill level. Men's, women's, and senior leagues, round robin social events, and "drop-in" doubles' games will keep your tennis schedule full each week. The Club also features four new pickleball courts. The Club's fitness center is stocked with a large selection of cardio equipment, strength building machines, and fitness classes; everything a Member needs to maintain a healthy body, mind, and spirit. Personal trainers are on site and can help you achieve your fitness goals, any time of the day. After your workout enjoy a refreshing swim or relax in the sauna or hot tub, followed by a soothing massage or rejuvenating facial at the spa. The Ibis Spa offers Members and their guests the ultimate relaxation experience. Their therapists are experts in the art of pampering and healing, whether it's a soothing aromatherapy massage or an exfoliating sugar scrub or facial, you'll find just what you need to balance your body and mind. When it comes to dining, The Club at Ibis offers Members and their guests a number of options, from casual to elegant. The Bistro offers comfortable seating inside and out and poolside dining is a Member favorite. The Bistro features an open kitchen design and is a popular choice for breakfast, lunch or dinner. 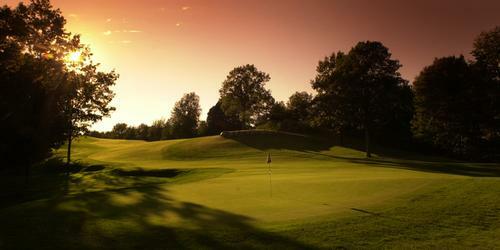 If you like to watch fellow Members play golf, The Atrium offers panoramic views of The Legend Course. It's the main dining venue in the Clubhouse and during lunch, Members and their guests can enjoy an elaborate buffet, complete with culinary and carving stations. The Pub has proven to be the go-to gathering place for Members and is the ultimate sports bar. The Pub features a full-length bar, multiple TVs, and table seating either inside or on their, 2,500-square-foot terrace. Should you choose to dine outside, The Pub Terrace overlooks the 10th and 18th holes of The Legend Course. If you're looking to take your significant other somewhere special, Panache offers Members and their guests a fine dining experience similar to acclaimed restaurants in South Florida. 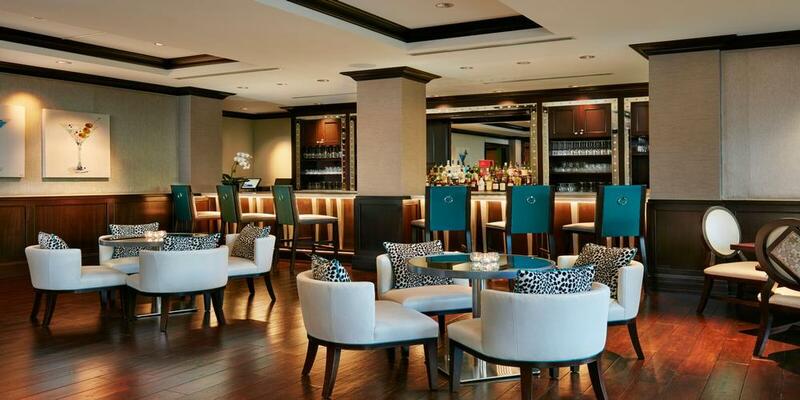 At Panache, you can sample a culinary a la carte cuisine in an exquisite setting all without leaving the community. As an added bonus, Panache offers diners a rare opportunity to dine inside the kitchen with a tableside dinner show and wine tastings for your group as Executive Chef Jerome and his team Members create a memorable dining experience. If you're looking for the opportunity to spread your cultural wings, the Club's Cultural Association (ICA) offers 21 diverse clubs designed to enrich the lives of both Members and their invited guests. There's a plethora of choices; everything from books to films, singing to acting, cooking to language classes, and so much more. A complete list can be found at clubatibis.com. The ICA also helps to build lasting friendships through various hobbies and interests. Members are able to engage in their hobbies or learn a new skill, all while growing the enriching lifestyle of the Club at Ibis Membership. Many off-property trips are also planned as well as fun events held at the club are just a few ways the ICA brings Members together. The Club at Ibis is also a great place to host your next family gathering or event. Whether it's a wedding or business event, big or small, The Club at Ibis can handle it and the views of the stunning Nicklaus-designed golf courses will serve as the perfect backdrop. From baby showers to weddings to family reunions, The Club at Ibis has the perfect space for your event with accommodations for groups of 10 - 480. The attentive catering department will provide you with professional event coordination and ensure that every detail is taken care of. As I mentioned earlier, the Club at Ibis is a mandatory Membership community meaning new residents must join the club at one level or another. The club offers new residents four Membership categories to choose from; all built to suit their individual lifestyle needs. All Memberships include unlimited access to the fitness facilities, four unique dining venues, the spa, pool complex, pickleball, and a full calendar of social events. The club's most popular Membership is their Premier Golf Membership and offers unlimited access to 54 holes of Nicklaus golf, the 20-acre practice facility, and 16 Har-Tru tennis courts. Other options include the Signature Golf, Tennis, and Social Sports Memberships. With this much to choose from, there is something for everyone. This private West Palm Beach Country Club is conveniently located within the high-energy lifestyle communities of the Palm Beaches, just seven miles west of I-95 on Northlake Boulevard. For more information on The Club at Ibis, visit their website at clubatibis.com or call the Membership Director, Karla Bass at 561.625.8500, ext. 5142.